Now the catalunya giants have the money but they are finding it hard to replace Neymar as we head towards the end of transfer window. We breakdown the entire Barcelona squad, players contracts and salaries going into the 2017-18 season. FC Barcelona generated record $688 million in yearly revenue according to last business cycle and in the process they overtook Real Madrid as the most valuable team in the world only behind Manchester United. Unlike the previous few seasons Barcelona have not been very active in the transfer window but after Neymar Jr transfer, they have to money but can’t find they players who can replace the Brazilian. They are linked with Coutinho and Dembele and by the end of transfer window both players might have Barcelona. 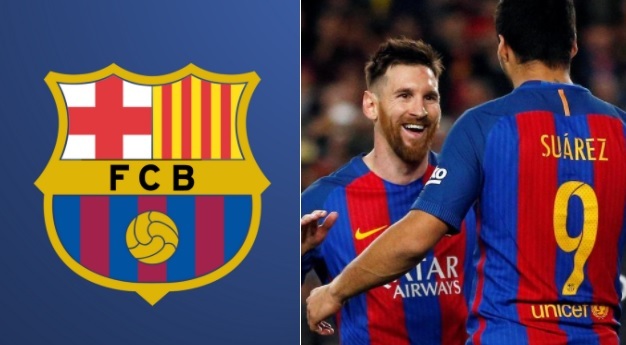 Even with Neymar’s departure wage bill of Barcelona is going increase going into the 2017-18 season as Messi signed a new record deal and combine that with potential signings of Coutinho and Ousman Dembele where Barcelona will have to hand them massive contracts to ensure their transfers. Lionel Messi extended his contract with Barcelona to further three years keeping im at the club till 2021. Barcelona agreed to pay Messi around £500,000 a week plus massive loyalty and performance based bonuses over the period of next 4 years. 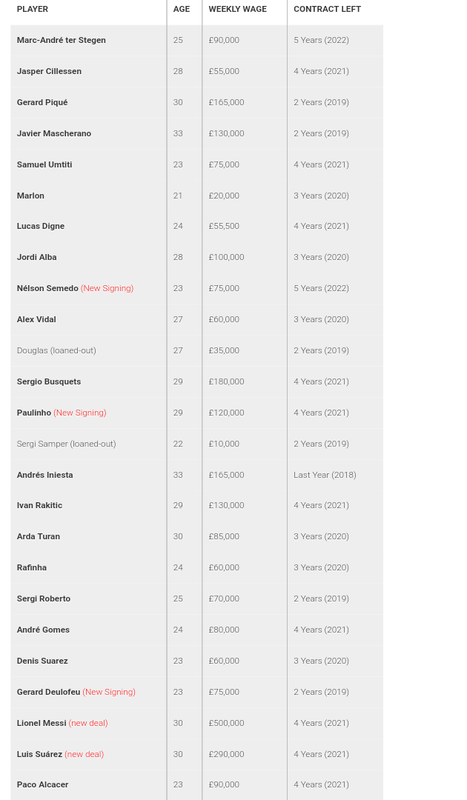 Luis Suarez also extended his contract by further two years keeping him at the club till 2021 and will be earning a massive £250,000 a week salary making him second highest paid player in the team.